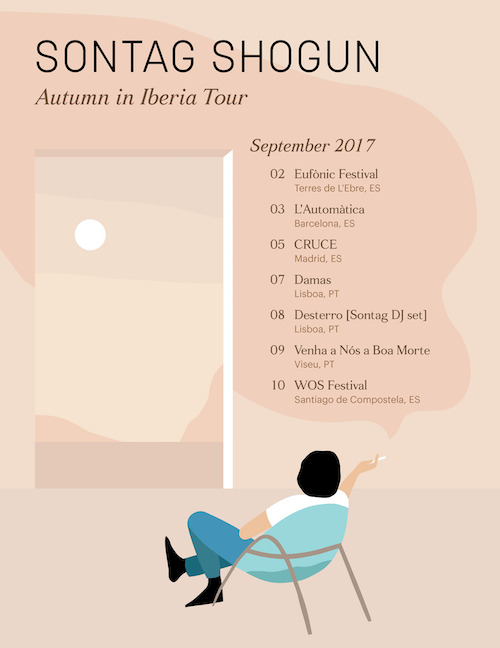 We're excited to be heading to Spain and Portugal for a seven quick shows, starting at the Eufònic Festival in Terres de l'Ebre and ending at the WOS Festival in Santiago de Compostela, with stops in Barcelona, Madrid, Lisbon, and Viseu along the way. Come out and say hello! 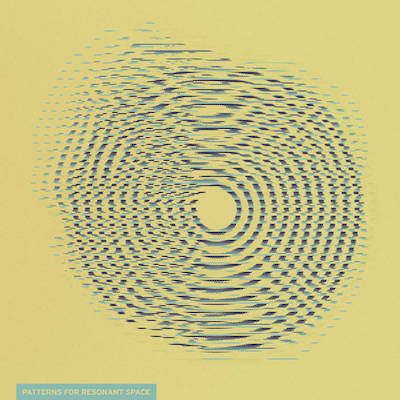 Pre-Order Our New LP "Patterns For Resonant Space"
We have a new album out: "Patterns for Resonant Space" released by Youngbloods. It soundtracks a solitary journey through old photographs, building and deconstructing each composition in tandem with each narrative. With textures recorded by a mosaic of diverse electronic equipment at The Pines in Montréal and concise piano responses recorded on a childhood upright in Brooklyn, the album is an experiment in a hazed nostalgia: a collection of 10 compositions passively investigating the caverns and cul de sacs of our shared conscious. Pre-order a 140 gram black opaque 12" vinyl in white inner sleeve in extra soft reverse-board jacket featuring custom, full color, one-of-a-kind analog lenticular artwork that "self-animates" when removed from or inserted into the companion polybag. We are SUPER excited and honored to announce that Sontag Shogun has signed a Recording and Publishing agreement with Youngbloods, the mighty Brooklyn-based hub for cutting-edge electronic music (on wax + in binary code)! Youngbloods has released some of our favorite hybrid-genre music in the last two years. And ever since the first 10-12 beers we shared with these wonderful fellows, it was clear that our vision for making complicated electronic processing sound inherently melancholic and pretty, resonated with their intents and interests as a label. This also feels like the right time to announce that our forthcoming LP, Patterns For Resonant Space will be released in the early days of Spring, 2017 (In North America/Europe via Youngbloods, and Asia via Ricco Label). Stay tuned! We are proud to announce our upcoming performance at the 2017 Frameworks Festival in Munich, DE. The festival line-up is just announced and we are excited to share the stage again with our pal Hauschka among other international acts we are excited to get to know. 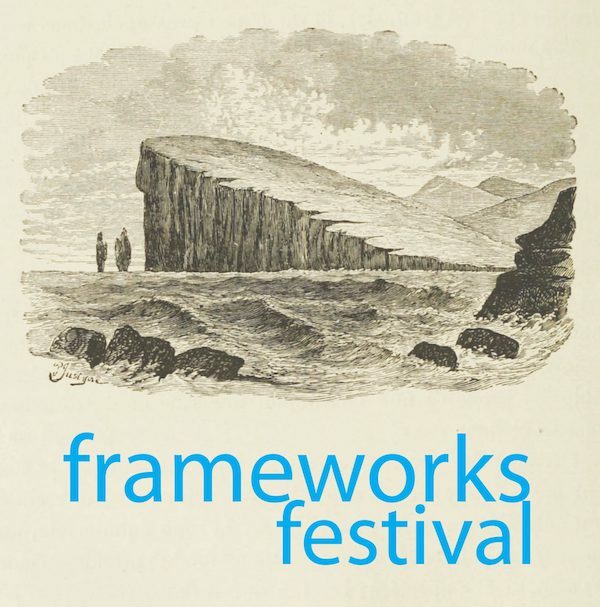 You can read more about the festival and its participants at: http://www.frameworks-festival.de/. We play on March 10th. Wir hoffen, dich dort zu sehen! 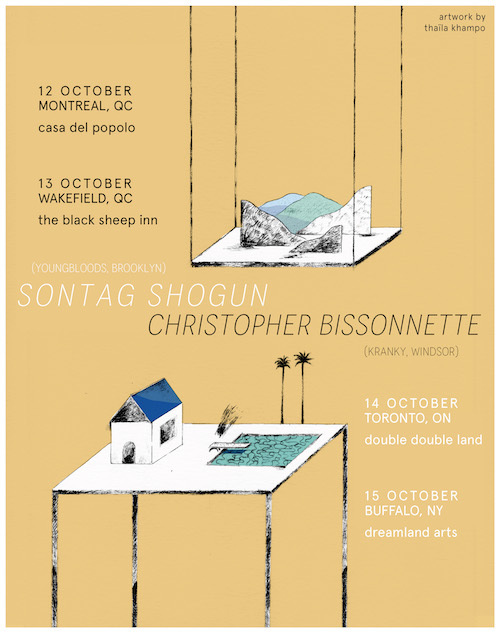 We're going to be playing a string of shows in Montréal, Wakefield, Toronto, Buffalo, and New Paltz starting on October 12. If you're nearby, come out to check us out! Now you can grab CD copies of "Tale" (2013) and "Tale" Remixed (2016) both published by our incredible Japanese publisher, Ricco Label. The "Tale" Remixed CD comes with three exclusive tracks NOT on the LP version, including remixes by Anoice, Takahiro Kido and Bern'rd Hoffmann. Get these collector's item imports in your cart! Visit our Bandcamp page to order your copy now. We were asked by the good folks at EIS Radio to submit some of our music to the Everything Is Stories podcast. It's a very human story on illegal immigrants that fight in our military and are subsequently deported after their service. Check out Parts I + II of the beautiful and humanizing expose titled "Banished Veterans" below. Last weekend we headed down to Durham, NC to mix some new recordings with the legendary Scott Solter, and they sound gggggooooooooddddddd! Stay tuned! 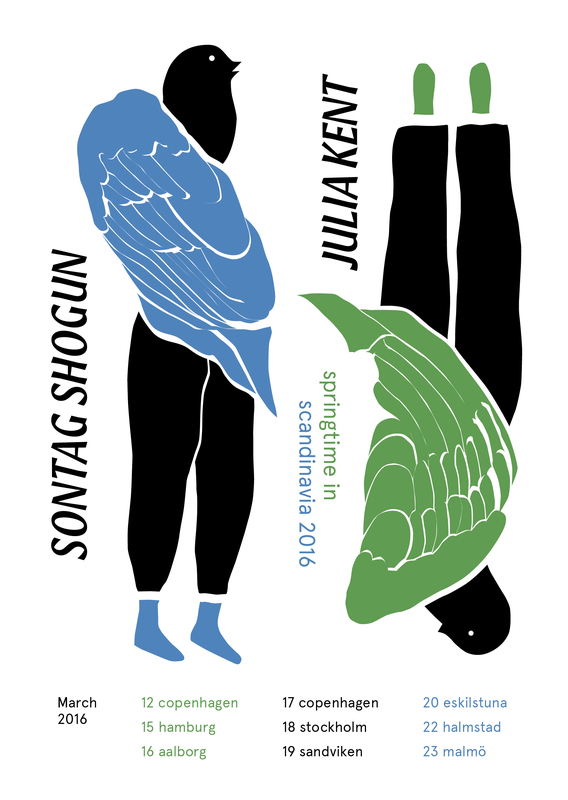 We are back from our Springtime in Scandinavia Tour and yes that's right, we rocked out at a library in Southwest Sweden with our good friend and collaborator Julia Kent. Watch the full performance here, with Julia's solo set first, Sontag second and us together for half a set last. We would also like to say thanks to all the incredible artists we played with on this tour, to Julia Kent for tolerating us for 10 days on the road, to Hans Appelqvist for teaching us his brilliant music, to Andreas Busk and Aidan Baker. Thanks to the organizers and venues that took care of us and helped us see the wonderful sights of Scandinavia. And thanks immensely to every single person that came out to the shows to support us! You are the best! This March, we'll be back in Europe taking over the North with our great friend and collaborator, cellist Julia Kent. Its going to be insanely fun and we can't wait to touch down on European soil again! In other news, we'll be performing new material from not one, but two forthcoming albums! Catch us in Scandinavia or in New York at our Tour Send Off Party at Trans Pecos. 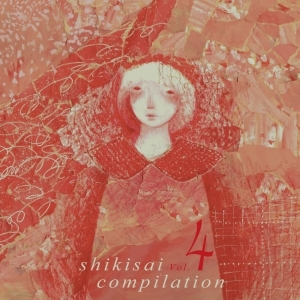 We're pleased to announce that we have been included in the wonderful Japanese ambient compilation Shikisai Vol. 4 released by the Kusanone Label! The album is available as a free download, grab it here. 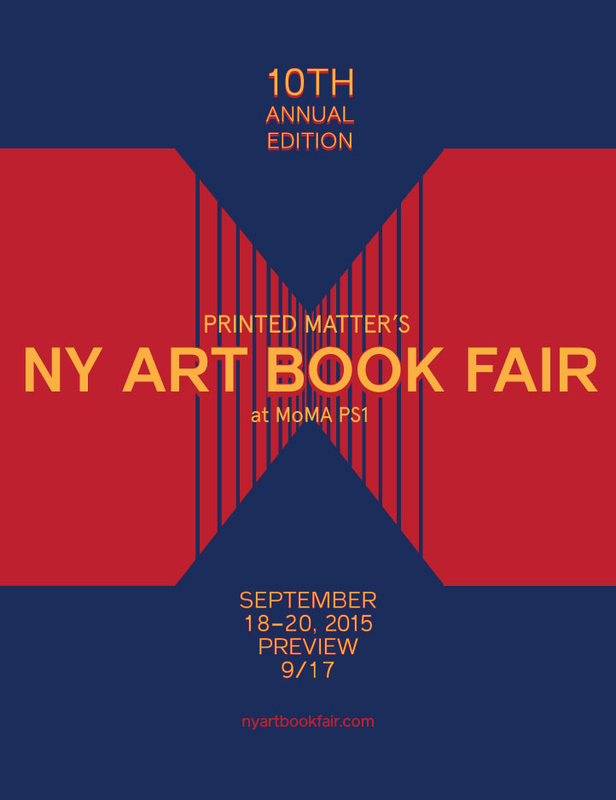 We're excited to announce that we'll be performing at MoMA PS1 on Friday, September 18 in support of the New York Art Book Fair, which is curated by our friends at Printed Matter, Inc. Hope to see all of our New York buddies there! Our good friends Go Toriyama and Takahiro Kido have uploaded full-set videos of our performances in Osaka, Shinjuku, and Shibuya, Tokyo. We perform some new sketches, some old favorites and some improvisations in slight variations each night. Check them out below! 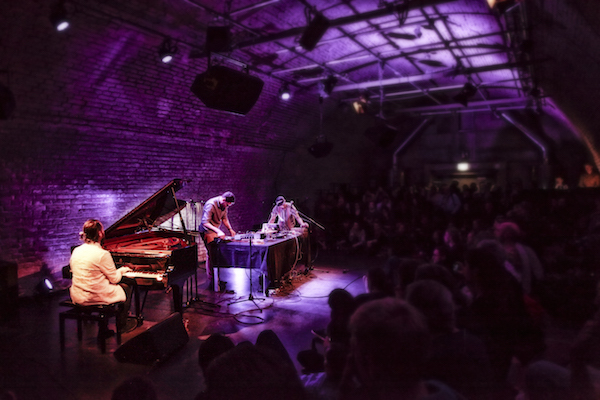 Our show last April with Hauschka was a memorable experience! And thanks to Irene Trudel at WQXR, who recorded the entire evening, we'll never forget how it went! Stream our entire set below, and check out Hauskha and itsnotyouitsme's sets from the evening here. Who Says You Can't Teach an Old Song New Videos?! We commissioned new music videos for two of our oldest songs, "Let The Flies In" and "Paper Canes". Enjoy them below! Hey remember that time we were on NPR's New Sounds? Our song came on right before Hauschka. Well, now we'll do that trick live! Come see us play with our friends Caleb Burhans & Grey McMurray's project itsnotyouitsme (New Amsterdam Records) as we support one of our favorite pianists/composers of all time, Hauschka! Le Poisson Rouge, 158 Bleecker, NYC 8:00pm. $20 tickets. Buy tickets here. Come See us perform at Kate Ladenheim's CRAWL Event on March 14 (EARLY Alert! Event starts at 6:30pm) at Gowanus Lofts, Brooklyn NY. This will be a multi-arts evening featuring dance by Kendra Portier and Brendan Drake. Its official! 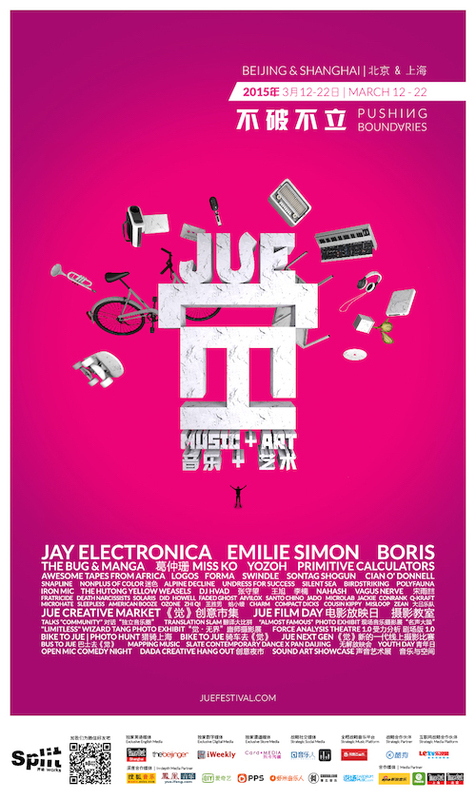 We're playing the JUE | Music + Art Festival in Shanghai + Beijing this March! Dates/Venues to be announced soon, but hint hint, we'll be supporting Australia's underground noise-rockers Primitive Calculators and playing with Beijing's most rambunctious psych-heads Chui Wan. Check out the rest of the lineup here! Sontag Shogun tours Japan. We're playing with some of our closest Japanese compadres and seeing some exciting places along the way. Join us! We can't wait to meet you, Japan! Click on the Concerts tab above for details! The People Movers Dance Co have uploaded a supercut of our collaborative piece from 2014, And He Saw That It Was Good. 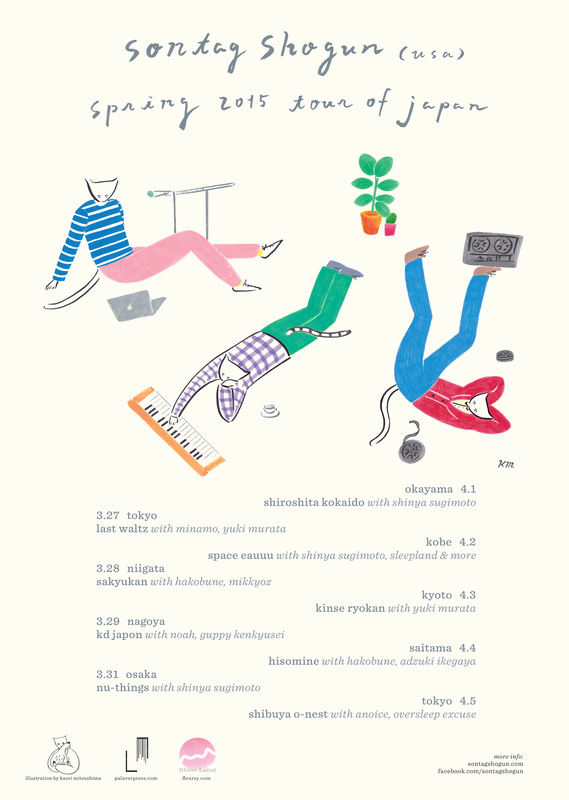 Thanks to Mono No Aware Festival! Here's an awesome overhead crowd shot of us playing with filmmaker/artist Tomonari Nishikawa. We are performing at this year's Mono No Aware VIII Film Festival alongside our great friend and collaborator Tomonari Nishikawa, from Binghampton University's Cinema Department. 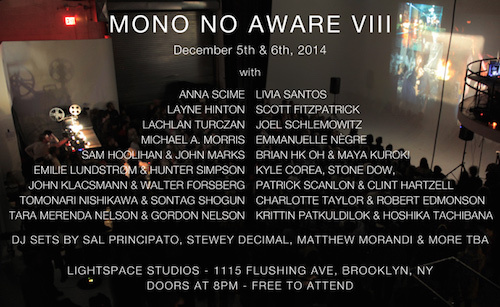 That show is on December 5 at LightSpace Studios in Brooklyn. 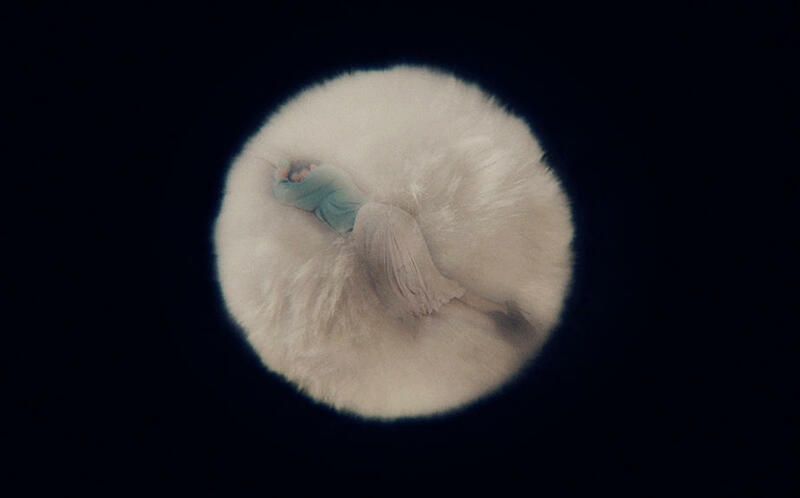 Its an exciting two day festival of expanded cinema installations, screenings and performances, ours includes triple slide projectors, abstract percussion and melodic electronics. Check out the full program details here. Austin's Fade To Yellow program features Sontag Shogun! Last week, Austin's Fade To Yellow program + podcast presented listeners with a handful of tracks from Tale as well as our live recording of "Lament", and Jeremy called in for a brief interview about the album and our upcoming performances. Check it out here or listen below! We've got a banana-bunch of gigs and collaborations coming up this Autumn, check them out! with Andrea Williams, Brian Chase & Heidi Sabertooth. Live Score Premier of "And He Saw That It Was Good" with The People Movers Dance Co.
We recently completed two simultaneous scores to accompany the short films of Neza Agnes Momirski. 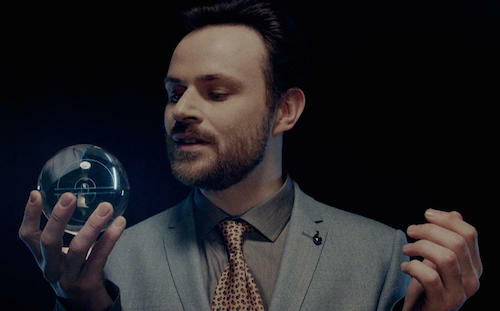 Both films, AFFINIT & LOOPED ALPHABET will have screenings in various cities in Europe throughout the next few months. Here are some shots, visit her website to view trailers and check out her other work. Extrapool, Nijmegen's historic DIY venue, has added us to their online archive documenting many of their past performances. We are extremely honored to be a part of the archive! "Looped Alphabet is an absurdist drama, depicting an enclosed pseudo world, exploring the idea of continuous presence in the flow of information. The story unravels in Sharing space where communication devices are staged as architectural elements of the fictional interior. The main character endeavors to reveal the Alphabet, which would restore conduct in the Sharing space and bring it back to it's roots, when he finds himself involved deeper and deeper in a hypnotic circle of gossip, schemes, subjective interpretations and power games. The path towards the truth seems lost, until he encounters an unexpected confrontation with himself." 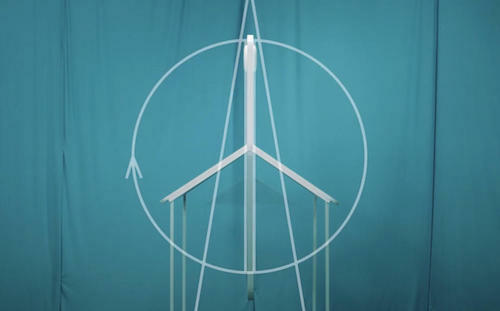 Looped Alphabet trailer from Neza Agnes Momirski on Vimeo. Sontag Shogun is proud to debut our new and improved internet-identity, aka our awesome, professional-looking website! Special and undying thanks to our friend and spiritual guru, Zoë Young, for putting countless hours into the new look. Expect more updates coming soon! Sontag Shogun - "Patterns for Resonant Space"
In tonality and design, "Patterns for Resonant Space" soundtracks a solitary journey through old photographs, building and deconstructing each composition in tandem with each narrative. 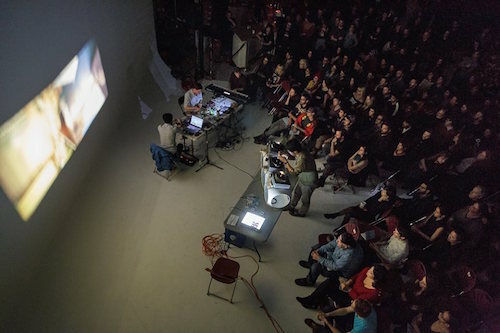 Patterns For Resonant Space was captured by David Bryant, through amps, direct circuitry, and in a resonant room called The Pines, Montreal, 2015. 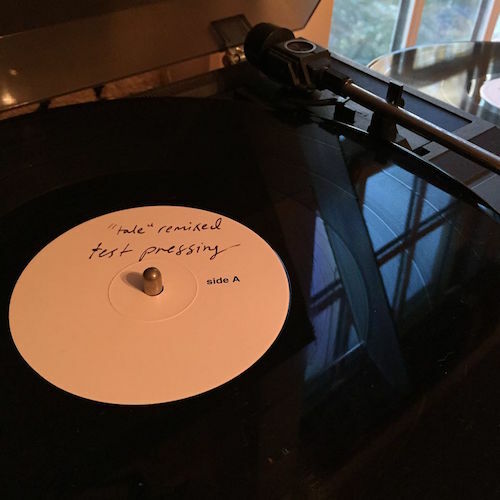 Piano recorded by Ian Temple & Jesse Perlstein at home in Brooklyn, 2016. Chatter on no.8 by Sam Ackerley. Mastered by Guiseppe Ielasi. Artwork and Design by Nicholas Concklin. Executive Produced by John Moses and Nicholas Concklin. (P) & (C) 2017 Youngbloods — all rights reserved. "This avant-garde trio use piano, samples, and carefully skewered tapes to conjure an evocative sense of place. They drift to exquisite effect." (Pitchfork). Casette includes unlimited streaming and high-quality download via Bandcamp. Mixed and mastered for cassette by John Hull. Thanks to WQXR, Rami Haykal & Pop Gun, Volker Bertelmann, Grey McMurray & Caleb Burhans, Brice Rosenbloom and everyone who joined us for this special evening. "Can these songs get any better? We’ll have to wait and see, but if these are sketches, they’re just about as complete as one can imagine. Develop them, remix them or revisit them - Sontag Shogun remains surefooted as it offers fans a rare form of observational access" (A Closer Listen). "It’s so gorgeous - that’s a word I’ve used precisely 198 times in my time writing reviews at Norman, but believe you me I’ve never meant it more. This kind of pulsating rhythmic bliss -- where there’s drama and unease but a strange chillness to it too - is gonna have the Dawn of Midi fans looking to move into a cottage near it." (Norman Records). “Tale” was recorded whilst the three members were living in separate cities (Jesse in Busan and Seoul, Jeremy in London and Ian in Brooklyn); the resulting composite is both by design and by circumstance, a pastiche of aural geography, culture, and the subjective experiences accumulated on their respective sabbaticals. 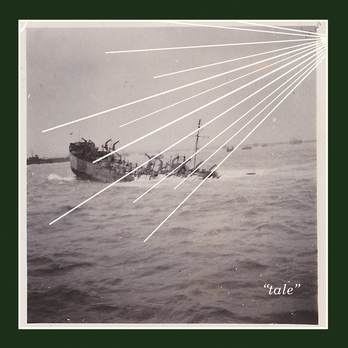 “Tale” engages the listener from start to finish (or as the titles suggest, from “tale” to “tail”), performing a pseudo-seance reviving the dead memories and reanimating, if only for just a moment, the instances that inspired and informed the music they have created. We can hear sound documents from a trek through a Columbian jungle, a piano tuner testing the ivory at the Southbank Centre and a South Korean traditional singer hitting a buk. These wordless vignettes bring to mind the retelling of a story, perhaps best experienced between the bindings of an as-yet written collection. All in all, "Tale" is a study in nostalgia: a rumination on our relationship to the past and how traces of memory haunt and shape us with every breath. Visit our Bandcamp page for more releases. For past concerts & tours visit our archive of shows. 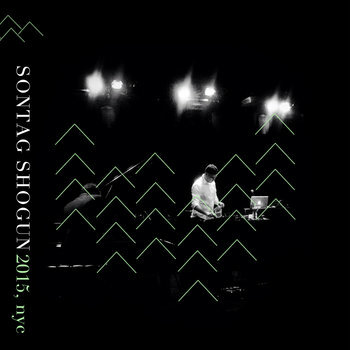 Sontag Shogun is a collaborative trio that makes use of analog sound treatments and nostalgic solo piano compositions in harmony to depict abstract places in our memory. Textures built from organic materials such as sand, slate, boiling water, brush and dried leaves, both produced live in performance and recorded to weathered 1/4" tape warm up the space between lush piano themes. All of which is abstracted coolly in the reflective digital space of treated vocals and a live-processed feed from the piano. Bringing us back, like a faded passing scent or any natural emotive trigger, but to where? The wordless journey there will inevitably be more revealing than the destination itself. Sontag Shogun has improvised with artists as diverse as Matana Roberts, Shinya Sugimoto, Tom Carter and Aki Onda as well as poets, choreographers, filmmakers, a collective of Japanese contemporary video artists and scentscape installation artists. They have shared the stage with notable artists such as Hauschka, Julia Kent, Minamo, Todd Reynolds, R. Luke DuBois, Chris Tignor, Alexander Turnquist, Akron/Family, William Parker & Hamid Drake, Chris Forsyth, Ben Vida & Koen Holtkamp, Sam Shalabi, Noveller, Christof Migone, Anoice, thisquietarmy, 10 and Yan Jun, as well as many others. For press inquiries, please contact us at sontagshoguninfo@gmail.com. Pitchfork — Review: Sontag Shogun, "Patterns for Resonant Space"
Indie Current — NYC Electronic Trio Sontag Shogun Premiere New Song "Sonar"